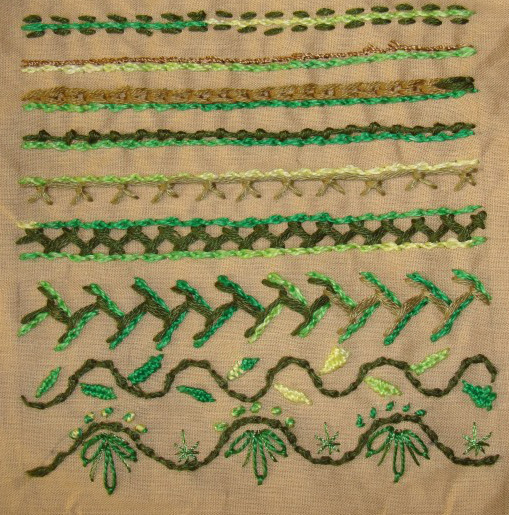 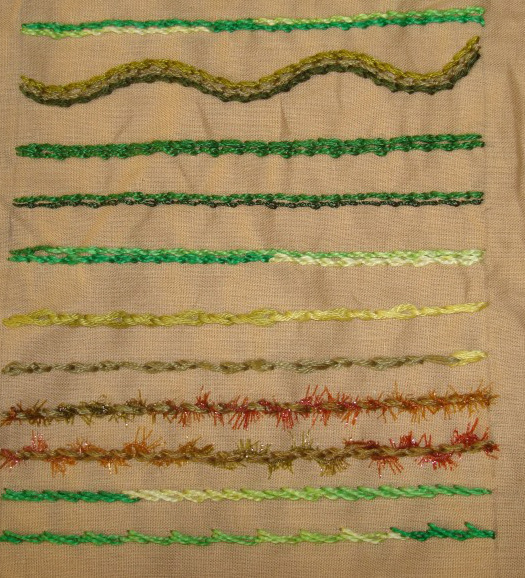 I combined other stitches with rope stitch in this part of the sampler. 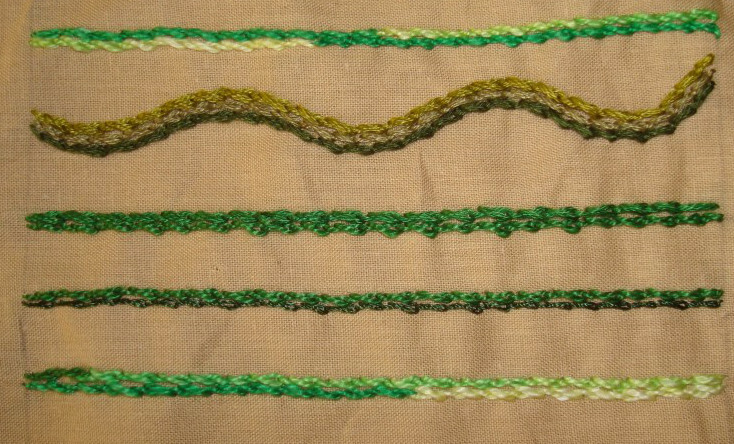 I saw the idea of building a seam on a group, this created interest, I want to try this idea, whenever possible on my samplers. 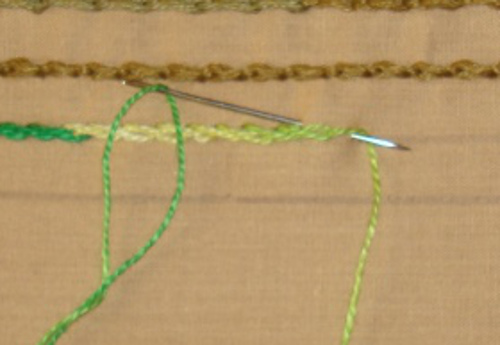 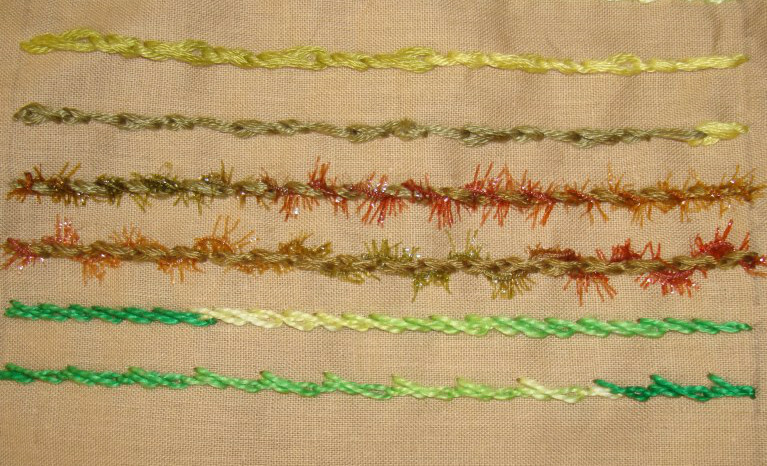 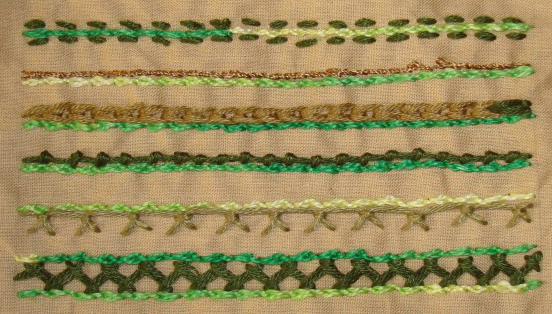 The stitch combinations, rope stitch with- running stitch, stem stitch[fine silk thread], linked chain stitch, coral stitch, up and down buttonhole variation, herringbone stitch in between rope stitch. 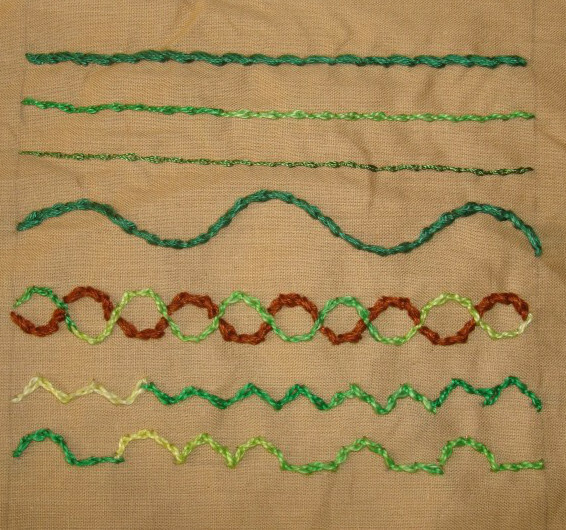 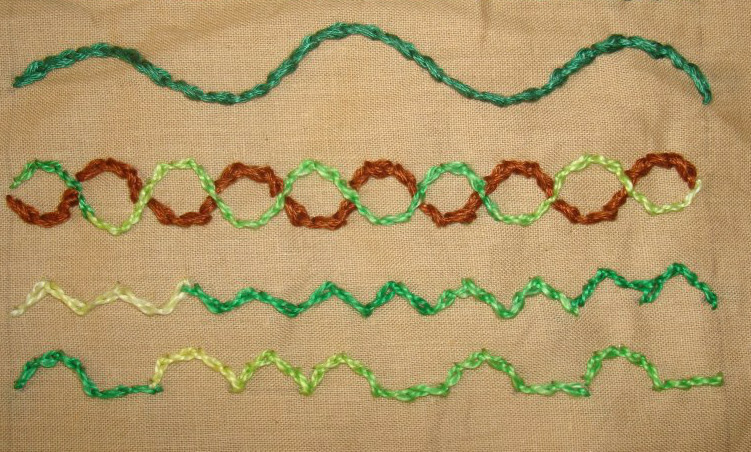 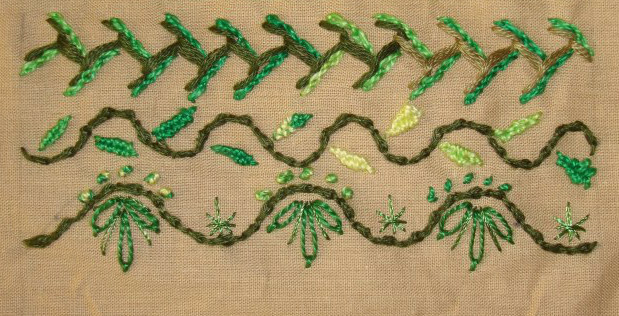 Rope stitch shadows a row of feather stitch in the first seam, rope stitch with woven detached chain in the second seam and rope stitch with french knots, detached chains, straight stitches and double cross stitch in the last seam.